Golf Tips And Playing Golf Are My Passion! I'm retired, live in beautiful Mexico, and want to share with you some things about me and the knowledge I've gained through in-depth research and playing the game. I have spent the last 25 years playing golf, reading golf books and watching golf videos. Most recently in the last 4 years I have involved myself in extensive research on the internet, learning and studying every aspect of this crazy game of golf. This website isn't just about me, I have learned a great deal during the internet research that I didn’t know before, and have studied and experimented with the vast majority of the elements within the game. But on a positive note, I took a few lessons from a club pro before playing my first nine holes! However, in Colorado I could only play five or six months of the year, averaging about 18-20 rounds per year. Over those 25 years of golf I never had a golf handicap of less than 25. My goal at that time was to achieve a “Bogey Golf” status. This is the part about me that required more work on my game! I really wanted an average golf score of less than 90! 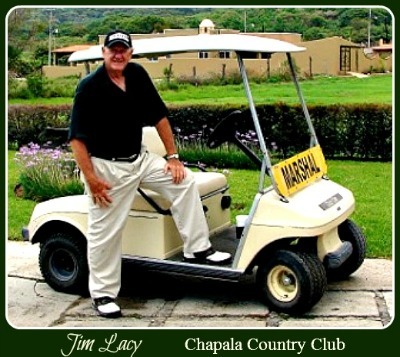 Upon retirement to beautiful Mexico, I now average playing about eighteen holes per week, which equates to approximately 50 to 60 rounds of golf per year, which is 2 ½ to 3 times as much playing time as before. I also practice now, which I didn’t before. Oh yeah, I would visit the driving range a half hour before Tee time, get out my Driver, hit a large bucket of balls in 20 minutes (wasting all my best shots), totally wore myself out, threw 3 balls on the Green and putted indiscriminately for 10 minutes and called that practice! Another negative thing About Me! Lately, I have been participating in some group lessons and have taken a few private lessons as well. This is a good thing about me! But mostly, I have practiced diligently and faithfully the quality techniques I have learned. My handicap is presently at 10 (It has taken 4 years of dedicated practice to get there). My goal is to be under a 6 handicap within the next 8 months, and a scratch golfer by June 1 of 2013. How have I achieved these golf scores in my senior golf years? By analyzing my game in detail, I have been able to isolate problems and prioritize the steps necessary to improve my game. Golf Drills & Golf Practice Tips! I have several “partners” (fellow golfing buddies) who participate in the drills and practice games to make it even more fun and competitive. The competition helps by simulating apprehension, stress and tension on the playing course! 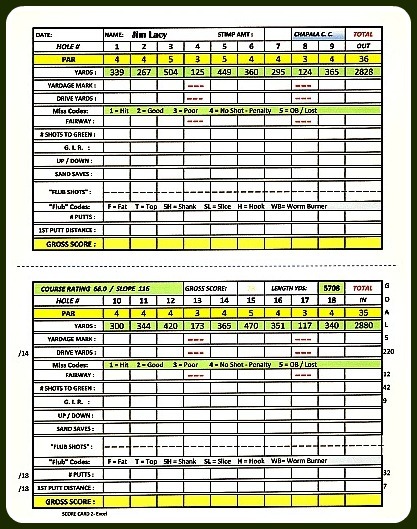 Included in the system are score cards for these drills and golf practice games along with charts and graphs to monitor progress. I have decided to build this website to “pay-it-forward” and share this information and experience with my fellow golfers, including you! During all of the research, one thing I found was that it was very frustrating to have such a wide variance of understanding and opinions on the same subject within golf instruction. So, one of my goals has been to consolidate the information, get the most popular slant on each subject as well as the consensus of opinion among the top golf trainers and Pros. (Now finally, this is all I am going to tell you about me). By the way, I also secured a job at my local course as a Golf Marshal. 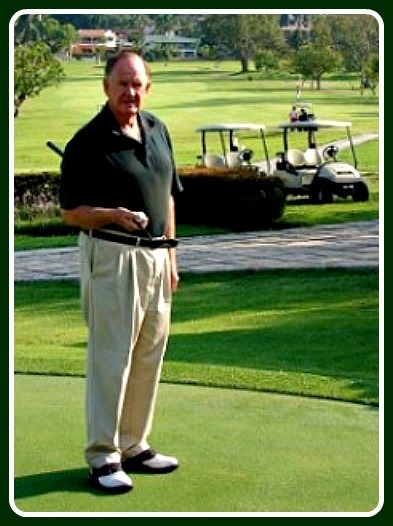 This allows me to play golf without paying a green fee and includes the Golf Cart Rental. Happy golfing, and have fun in significantly lowering your handicap! Thanks so much for Visiting Us and come back soon!